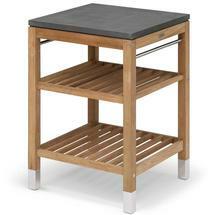 The perfect outdoor butchers block or preparation table for the BBQ area. 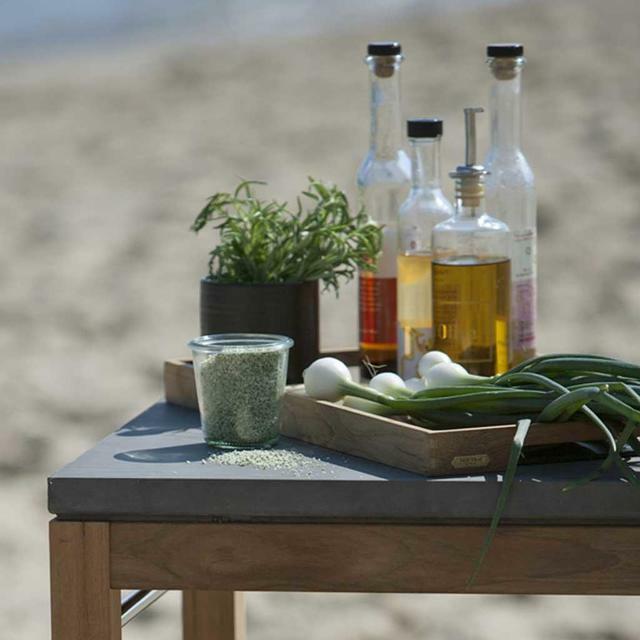 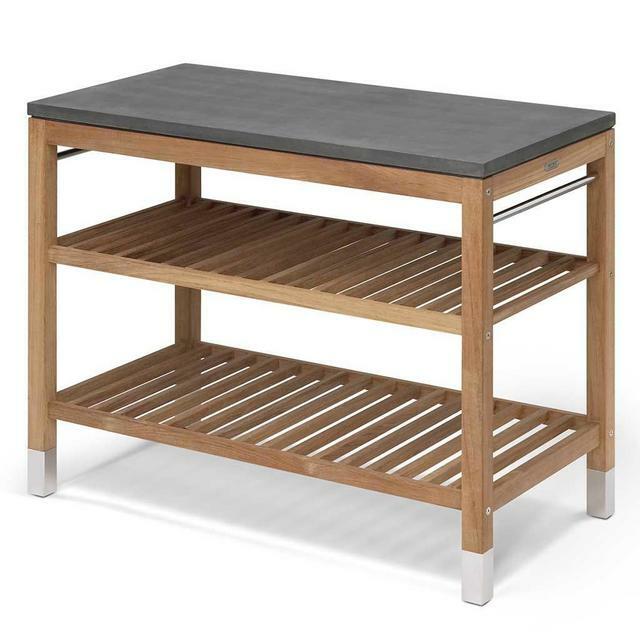 A very versatile outdoor work surface which can be used either as a preparation table for the BBQ area or a very stylish and practical potting bench. 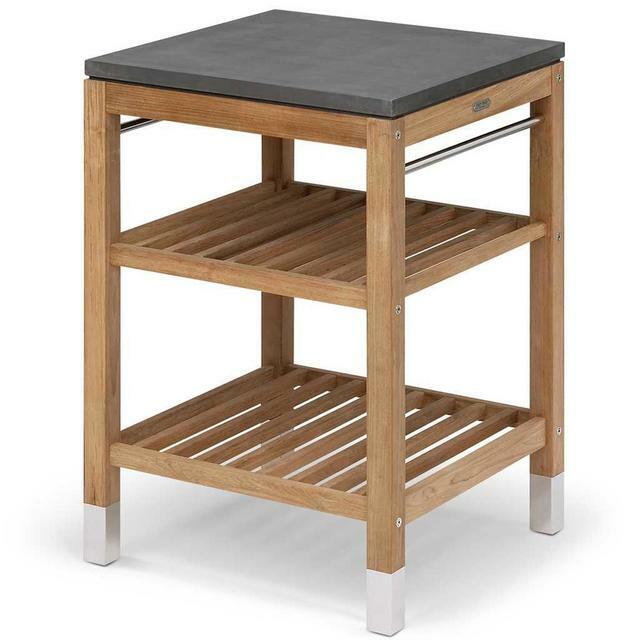 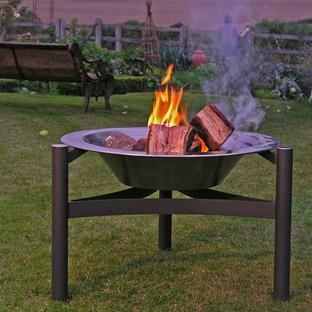 It is perfect as a potting table with a heavy duty durable fibre concrete top, with a hard wood teak frame it can be left outside all year round. 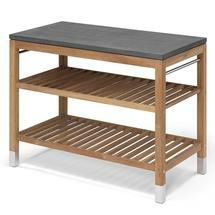 The teak will weather to a soft grey patina, the concrete top is hard wearing. 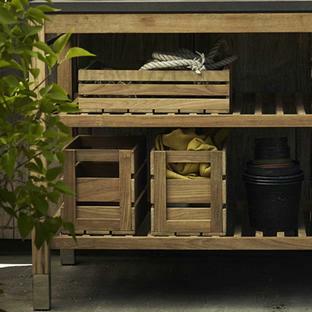 The teak Dania storage boxes fit snuggly under the table keeping all your paraphernalia tidy and dry and are available to order separately. 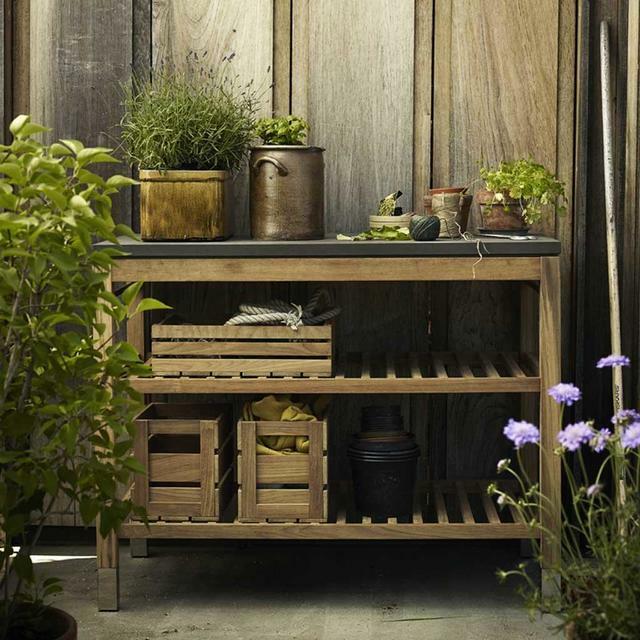 Or if potting isn't your thing and you are a regular alfresco cook, then the Pantry table is a perfect work table to have next to the grill or the outdoor kitchen, rather like a contemporary styled butchers block. 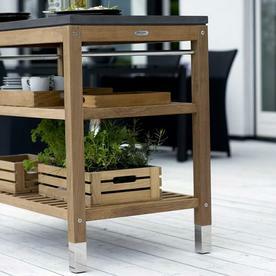 The solid teak shelves provide good storage space and utensils can be hung from the steel tubes underneath the tabletop. 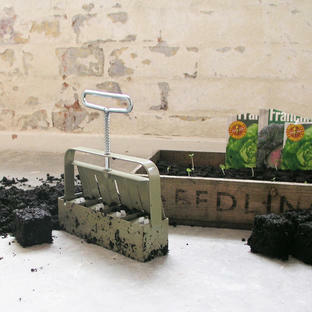 The tabletop itself is made of fibrous concrete which is strong, easy to clean and ages with beauty. The base of the legs of the outdoor work table are protected against the elements with elegant stainless steel foot protectors.